Once upon a time, my first friend (literally met when we were babies) Ian Hubert created DYNAMO, a webseries that I describe as Firefly meets Twin Peaks meets Bladerunner meets nothing you’ve ever seen before. A couple of months ago, Ian invited me to join the DYNAMO family as this sciencetist character, Shanananalala, introduced in the newly released ep6. I had a blast and truly love how it turned out. You should ABSOLUTELY watch the previous five episodes (for context and ’cause they’re awesome) before checking out ep6. So go do that now. Did you watch all five? I’m not sure what to say about 2017. It was an odd year for me, and it almost feels like not much happened. But that’s not true. “Progress” means many things, and in 2017, it meant taking a step back. Not backwards, but a step back to look at a painting, to see the whole thus far, to examine, adjust, appreciate. I’m an observer, and a seeker of inspiration. I always have been. But this past year was practically dedicated to inspiration through observation. I took nearly the whole year off from theatre and performing. I wrote more. I saw more movies. I introspected so hard. I found flaws I didn’t know I had and discovered abilities I thought were reserved for other people. I learned to trust my friends, and I’m learning to trust myself. At the beginning of the year, I couldn’t choke out the word “home” in relation to Seattle. It didn’t feel honest. But over the course of these 12 months, I found another layer to that slippery word. Home is in the mountains. Home is in the desert. Home is any place where there are people who love me. And though I can’t say that’s everywhere, I can say – and I do so with deep gratitude – that it’s a heck of a lot of places. So like, I guess home actually is where the heart is. Part of my hope for 2018 is that we will continue find home somewhere we don’t expect to find it, that we will each find the redemption of our flaws, and the courage to take the planks out of our own eyes. I’m excited for the coming unknown, scary as it always is. Beware the Light because darkness cannot hold it, and fear cannot withstand it. Beware the Light for it will expose you and force truth upon you. Beware the Light because it burns with refining and opens our eyes. Beware the Light. Tread boldly. Tread carefully. Lord, give us more to see. If you know me, you know that I’m not really afraid of spiders. In fact, since moving to the city two years ago, it’s not unheard of for me to say something like, “I miss my spider friends.” They just don’t hang out in city windows and door frames as much as they do in the suburbs or out in the country, and I miss them. It’s odd. I know. When I was a girl, I would sit and watch spiders go about their business. I always considered time spent in their company, watching their web weaving, as time well spent. Sometimes I would linger after their work was done to see what they did in their downtime. It turns out, they mostly just sit in dark corners and wait for unassuming and innocent flies to take a wrong winged right turn into their gossamer spires. These spiders made their homes on the outside of our second-story windows, which were divided by brown panes into three: two perfect squares topped by a large rectangle. It was in those bottom squares that the spiders made their homes. The panes provided unparalleled support, certainly better than any breezy branches or bending grass blades. The panes also served as a perfect perch for the spiders to crouch in their silent hunt. Some spiders would stay in our windows almost a month, square and sufficient as they were. I’d check in on them, see how they were doing. In some sort of girlish morbidity, I would watch with excitement whenever an unsuspecting fly would find itself entwined in the spider’s web. The spider would slowly emerge from its corner, using its many legs to gauge the fly’s location. Then, with light rapidity, the spider was on the struggling fly, wrapping it with sheer spider-wire that layered and grew white as the nimble and macabre scene played out. Then, stillness, as the spider drank life from limb. I would sit, fascinated. On some of my more curious and mischievous days, I’d explore the webby homes of garden spiders, the ones that stayed in the yard, not venturing to windowed heights like their cousins. These spiders could undoubtedly spot my approach from a distance: here comes girl, unafraid. Plucking a grass blade or a leafy bit, and with my face close, I’d toss the decoy into the spider’s house. Some would pounce, only to be met with hungry disappointment. Others, like a retriever often tricked into fetching a ball not thrown, would roll they’re multiple eyes in disgust, staying firmly planted center web. 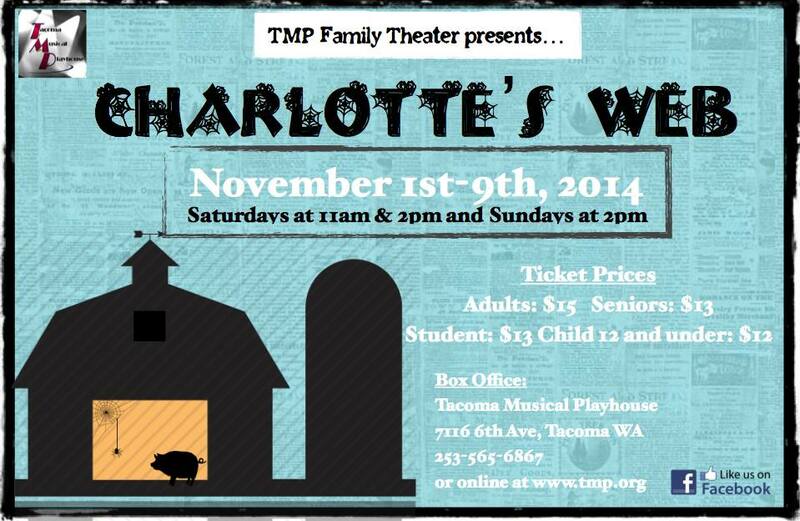 I will play Charlotte in Tacoma Musical Playhouse Family Theater’s musical production of Charlotte’s Web. It’s sure to be a fun show for the whole family. The show runs November 1-9th. Click here for tickets. 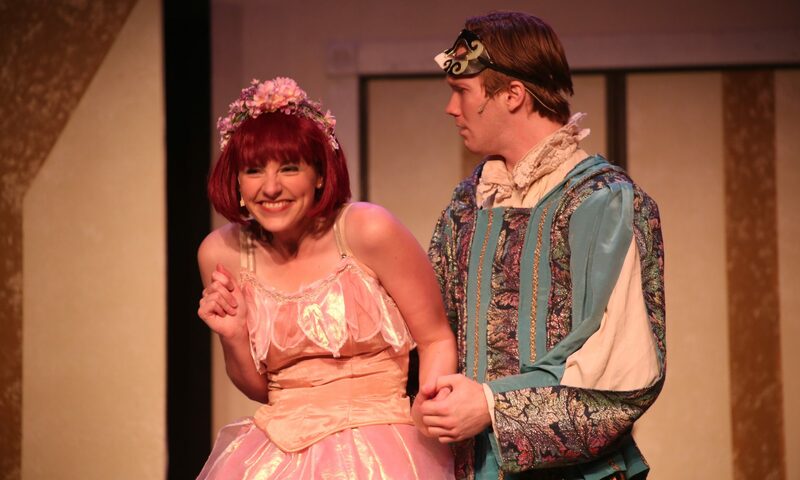 Tonight, we open our third show in the Leavenworth Summer Theater season: The Drowsy Chaperone. This lesser known musical will leave you in stitches, grinning ear to ear (I promise). I am proud to be a part of this rare, wonderful, energized, and side-splitting musical. 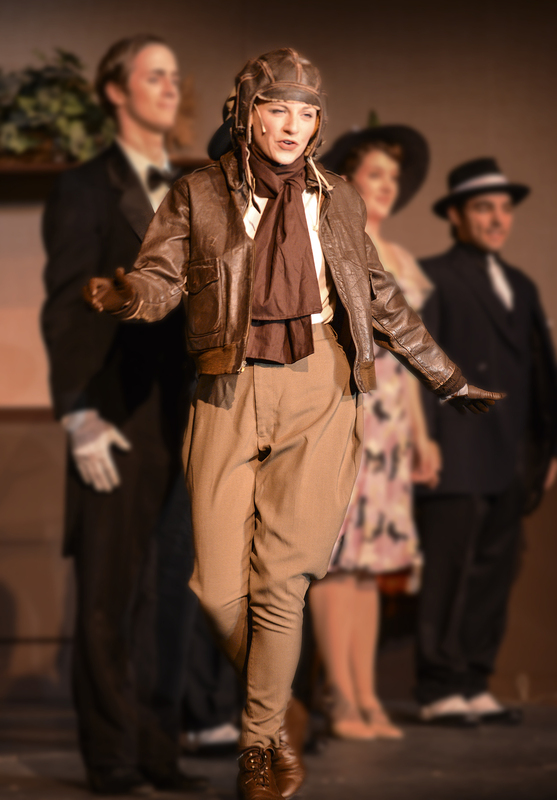 There are only nine performances, and I urge you not to miss it.